Guest Post, Joannie Stangeland: But Is It Poetry? I was driving to the grocery store, radio turned to NPR mid-segment, someone reading–was it a poem, or was it a story? The imagery was arresting. The storyline carried me all the way to the QFC parking lot, but I wasn’t sure until I heard the name of the author. Question answered by association. But I want a poem to sound like a poem. But it felt bigger. It brought me back to this question: What’s the difference between poetry and prose? On a page you can see line breaks and see that it’s a poem. But does it feel like a poem? A rhyme scheme can get your attention quickly–but I believe that poetry is vast and end rhymes are only one of many possibilities. Poetry thrives on imagery. We can even say that imagery is the foundation of poetry–metaphors and extended metaphors, juxtapositions that open worlds of new meaning. But prose can be image-rich, and poetry can sound like prose when you aren’t looking at it on the page. Last September, in the space of 10 days, I heard both Jorie Graham and Dorianne Laux talk about the relation of music to their work. Instead of trying to paraphrase from my notes, I went online and found these links for you. If, as Gregory Orr has noted, a poem can emphasize story, form, imagination, or music, I’m putting a stake in the ground: Ultimately, it’s the music. 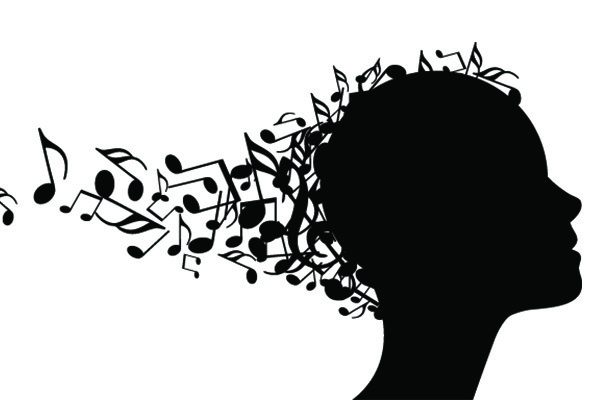 Any kind of music, all kinds of music–think of Mozart, John Cage, John Prine, Joni Mitchell (the way she stretches out lines, changing the rhythm), Hip Hop, Ska, Mbira music, drumming! But there’s got to be some overriding, driving rhythm, the rhythm and the sounds and the spaces between the sounds, the spaces at the ends of lines and stanzas (the rests) that allow those sounds to echo silently. It’s the rhythm and the sounds that propel you to the end of the line, leave you briefly in the pause, and lead you to the next line. Whether it’s lyrical or narrative, a poem uses music the same way a song does, but without melody or instruments. Poems use different types of music, different rhythms. Sometimes a poem moves from one rhythm to another to shift the mood–shorter lines for a somber image, an elegy or a meditation; longer lines for a heady rush to leave the reader breathless. I know it always seems like shorter lines are faster–you get to the page that much more quickly. to watch weather rage like demons without names. Do the line breaks slow your voice, force pauses, even if they’re tiny pauses? The sound, the pause or momentum adds to the experience of your poem. The music and the subject are having a conversation. Those line breaks must work hard in other ways, must resonate–in the ear (with assonance, alliteration, rhythm/meter, rhyming or internal rhyming, the pause after the break, and even repetition), and in meaning (how the words play off each other or their origins). What about prose? Prose can be gorgeously musical, but the narrative remains the boss. In poetry, the music trumps the story. How it sounds is that important. This argument appears to fall apart when we look at prose poems (which I love). Now we no longer have the line break to add that tension. It’s all momentum. But the music still applies, still trumps any narrative. This argument disintegrates when we get to automatic writing and chance operations. Poetry has room for everything, but I’ll suggest those are the exceptions that prove the rule–and I’ll keep listening to hear the poem’s music.